Here is a March 2014 4 minute documentary with interviews that was done by Shaw Cable about our project... link here. 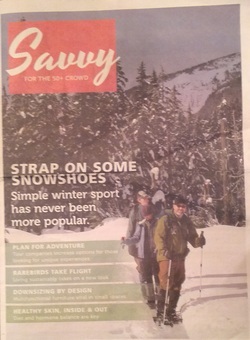 Kamloops Daily News is their December 14, 2013 addition of Savvy did a full page article about the RareBirds entitled "RareBirds Take Flight". “Our dream and our project,” a blog archive excitedly declares as it traces the evolution of new way of living in Kamloops. To read the complete article click on the link below. A group of people from Kamloops says you just might be able to chose your family members. They are building a house together with plans to live under one roof. Wednesday, February 20, 2013 - Tania Cronin interviewed our RareBird, Sandi Ceccon about our co-operative project. A rezoning of residential property near Guerin Creek to allow for a multi-family housing co-operative will proceed to a public hearing. Council approved a staff recommendation on Tuesday to hear public concerns about a proposed development by RareBirds Housing Cooperative. The project requires an amendment to allow a single-family dwelling to be occupied by 12 residents provided the building meets specific criteria for footprint and setback. The subject property is located at 772 Battle St. West. The site is on vacant land overlooking the creek. The site-specific amendment is required because the housing co-op doesn’t meet the bylaw’s definition of family, said Marvin Kwiatkowski, development and engineering services director. Coun. Marg Spina said the co-op represents an innovative approach to affordable housing and the evolving needs of adults as they age. The official community plan directs the City to support innovation and flexibility in the provision of housing. “It is a brave new world out there,” she said. “I’m in support of it going to a public hearing so that people can comment on this new trend,” she said. The project will need a housing agreement as well to prohibit the renting of individual rooms. “We do not want it to become a rooming house,” Kwiatkowski said. Thursday, January 24, 2013 - We had an extensive radio interview about our co-operative project with Shelley Joyce who hosts Daybreak on CBC Radio. We will post here the date and time when CBC will broadcast our interview. We will also post the link to the audio file.It might be a two-part interview. A group of Kamloops residents have completed such a circle after working for more than year and are now set to build their dream of a co-operative housing project on West Battle Street. 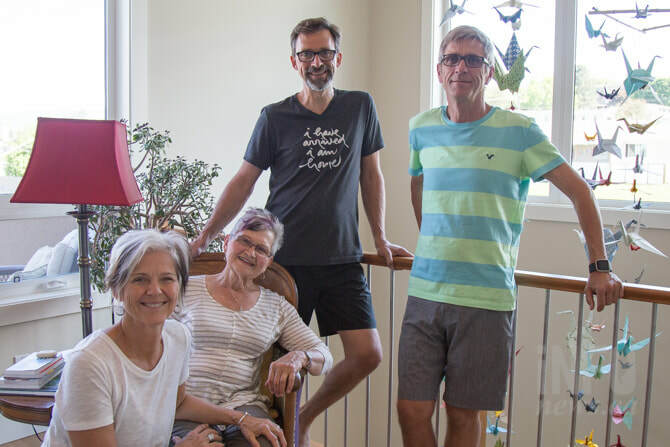 Since March 2011, the RareBirds Housing Co-operative group has met, studied, dreamed and toiled to create their "intentional community" that would see six people share expenses and live co-dependently with a common kitchen, eating and living space. "Together, our goal is to live more sustainable lives using fewer resources, incorporating a greener and more self-sufficient way of life in a socially supportive and spiritually fulfilling environment," said member Robyn Hines. "In this way we hope to co-create meaningful life together and serve as model in our community for a new, innovative design for living." The group now has all the members it needs and the estimated $1.2 million - $200,000 per family or owner - as well as the right property for the multi-level home between 4,000 and 4,500 sq. ft. An eagle's eye view from the "nest" includes expansive vistas to the west and north and they look forward to the stunning sunsets on the South Thompson, according to a group update. A local architect has been hired who will give special attention to the principles of green building and sustainability. Private spaces for each member or couple would include a large bedroom, private full bathroom, large closet and small sitting area. A large common space will include kitchen, living room, pantry, laundry, storage, bathroom, exercise room and a shared guest room. After having friends or family at our house steadily since May, our final two summer visitors flew the coop Wednesday. When you're used to living with only one other person, the experience frequently strained my patience. So many mouths to feed, dishes to do, extra laundry and cleaning, and too little downtime after a tough day at the office when guests are eager for your attention. But as one visitor remarked (and on that note, I think I deserve a gold star for welcoming my husband's ex-wife not once but twice), I was pleased that so many wanted to see how we were settling into our new life in rural Kamloops. And there's nothing like people in your space to make you look at yourself; seems the easygoing girl I once was has been replaced by a woman who easily loses her patience and whose neatnik tendencies border on excessive. This is why I find the idea of people opting to live in a housing coop, as described in our Monday story, so fascinating. The RareBirds Housing Co-operative has been planning its "intentional community" since March 2011. The three couples and two singles (they're still looking for another couple or single interested in sharing expenses and the multi-level home they plan to build) have each committed $200,000 toward the venture and bought a property on West Battle Street. Members in the group range in age from 46 to 72, and are truly devoted to the idea of communal, sustainable living. 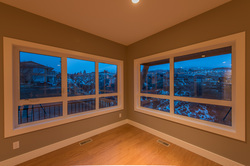 They'll share a kitchen, living room, pantry, laundry, bathroom, exercise room and guest room, and each will have a private bedroom, bathroom, closet and sitting area. During a tailgate party last month, they introduced themselves to neighbours of the plot of land they bought and have held numerous meetings, including a planning retreat, to map out communication goals and how the group will make decisions by consensus. According to their blog (http://rarebirdshousing.blogspot.ca), during meetings where they are trying to decide on something, there will be a facilitator to moderate, a timekeeper and a guardian to look out for the "emotional state of individuals and the overall mood and energy of the group." Colour-coded cards are used to show someone wants to contribute to the discussion and a bell will be rung when "due process" is not followed. Given I could barely come to consensus with my visiting parents how to cook dinner (barbecued corn or boiled, would you really microwave sweet potatoes instead of roasting them, and is that a farmed salmon? ), this courteous way of resolving disputes sounds dreamy. At my house, we generally try to ignore when an impasse mounts and hope it fades away. Alternatively, everyone butts in to add their two bits to an issue and the loudest or most persistent voice tends to take the floor. The RareBirds' blog cites benefits to sharing living space such as having the freedom to jet off knowing someone will care for your pets, sharing great meals and never being lonely. I think the latter would be a curse - I relish being alone and a dose of loneliness can lend good perspective. I admire the path these RareBirds are flying but even after our guest-strewn summer, you won't find this chicken planning to joint that roost any time soon. This column has some good 'tongue-in-cheek' fun with our project!